Once winter arrives, it’s not uncommon to experience more than a few bad hair days. That’s because cold, dry outside air causes the cuticle layer to lift. Likewise, warm, dry indoor air extracts moisture from the shafts of flyaway strands. 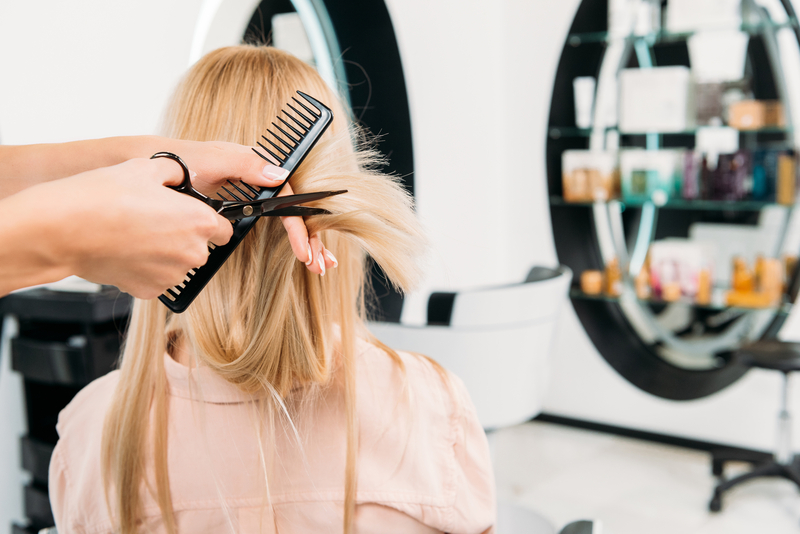 While regular trips to the hair salon are the best way to keep your hair looking healthy and frizz-free despite the weather, additional precautions provide an added layer of protection. Because moving from cold to warm air dehydrates your locks, start using products formulated to add more moisture. Oils, cremes, and leave-in conditioners add an extra layer of protection to the hair shaft. These products will help combat breakage and tangles throughout the season. If you only visit the hair salon for a new cut or hair color, you may want to schedule more regular appointments this winter. Temperature fluctuations and high-speed winds can leave ends dry, fragile, and more susceptible to splitting. A split can work its way up the shaft, leading to major breakage. The stylist at your local hair salon will trim ends regularly to keep them strong and looking great. If you typically leave the house with damp hair after taking a shower, avoid the practice during winter. Exposure to cold air causes wet strands to expand, increasing the risk of split ends and breaks. It’s best to let hair air-dry, as using blow dryers, flat irons, and other heat-producing tools could deplete hair of much-needed moisture. Whether you need moisturizing treatments to protect tresses this winter or a new haircut and color to boost self-esteem, the stylists at Bloom Beauty Lounge in New York City will do everything possible to keep your strands healthy and beautiful. To schedule an appointment at the Chelsea hair salon, call (212) 255-9355. A team member is available to fill you in on what organic hair products are used in the shop and answer any questions you may have. Visit the salon online to learn about the stylists’ specialties, and like them on Facebook to read what clients have to say about their new looks.